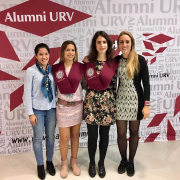 On 20th November 2018, a graduation ceremony for the new PhDs (class 2017/2018) was held at the University Rovira i Virgili. Dr. Elga Molina and Dr. Rosa M. Garcia, both researchers from the UNESCO Housing Chair, graduated this year, and defended respectively the following PhD thesis: “Una nueva regulación para los arrendamientos de vivienda en un contexto europeo” [A new legal framework for tenancies for residential purposes in a European context] and “La sustitución de la renta por la rehabilitación o reforma la vivienda en los arrendamientos urbanos” [Renovations in lieu of rent in urban leases]. Both dissertations were supervised by Prof. Dr. Sergio Nasarre. 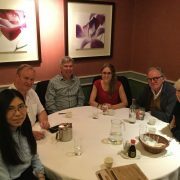 The researcher of the Housing Chair Gemma Caballé has made a research stay on the occasion of her doctoral thesis from 23th of June to 23th of September at the University of Cambridge, specifically the Cambridge Center of Property Law under the supervision of Professor Dr. Martin Dixon. 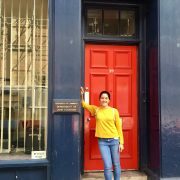 Núria Lambea, PhD candidate in the UNESCO Housing Chair, has undertaken this summer a three-month research stay (June-September) in the University of Birmingham (United Kingdom), within the scope of her PhD on social housing management schemes. In particular, she has been within the Housing and Communities Research Group (School of Social Policy), leaded by Prof. David Mullins. There, she has focused on doing an in-depth study on the social housing system, legislation and policies in England in general and on the housing associations and their management model in particular. Moreover, the research has been enriched by a Programme undertaken with Accord housing association.